Industrial engineering, operations research, and systems engineering are fields of study intended for individuals who are interested in analyzing and formulating abstract models of complex systems with the intention of improving system performance. Unlike traditional disciplines in engineering and the mathematical sciences, the fields address the role of the human decision-maker as key contributor to the inherent complexity of systems and primary benefactor of the analyses. 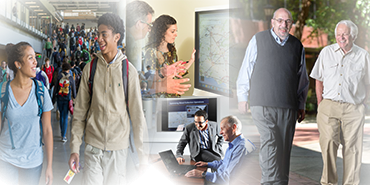 Georgia Tech pursues leading-edge research with industry, government, and community partners. 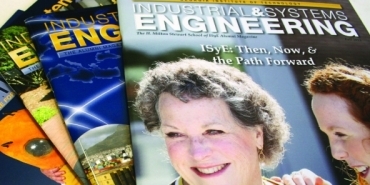 At ISyE, we are a national leader in 10 core fields of specialization: Advanced Manufacturing, Analytics and Machine Learning, Applied Probability and Simulation, Data Science and Statistics, Economic Decision Analysis, Energy and Sustainable Systems, Health and Humanitarian Systems, Optimization, Supply Chain Engineering, and Systems Informatics and Control. 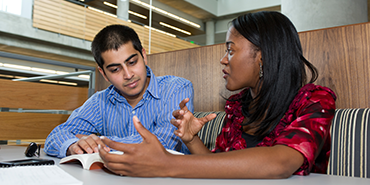 ISyE's faculty and staff members strive to provide a world-class educational experience for the Stewart School's undergraduate and graduate students, and to forge long-lasting relationships with ISyE alumni and industry partners. If you have benefited from a connection with an ISyE faculty or staff member, feel free to take a moment to send a thank-you note to that person via this web form. You can stay in touch with all things ISyE through our news feed, by reading one of our publications, or attending one of our upcoming events. ISyE employs some of the world’s most experienced researchers in their fields who enjoy sharing their perspectives on a wide variety of topics. Our faculty is world-renowned and our students are intellectually curious. Our alumni can be found around the globe in leadership positions within a wide variety of fields. John-Paul Clarke is a College of Engineering Dean’s Professor in the H. Milton Stewart School of Industrial and Systems Engineering, with a joint appointment in the Daniel Guggenheim School of Aerospace Engineering (AE), and director of the Air Transportation Laboratory at the Georgia Institute of Technology. 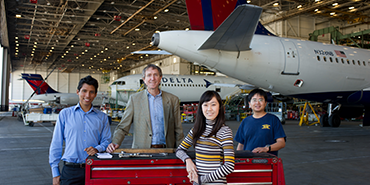 His research focuses on the development and use of stochastic models and optimization algorithms to improve the efficiency and robustness of aircraft, airline, airport, and air traffic operations. Of particular note, his research in aircraft trajectory prediction and optimization, especially as it pertains to the development of flight procedures that reduce the environmental impact of aviation, has been instrumental in changing both the theory and the practice of flight procedure design. 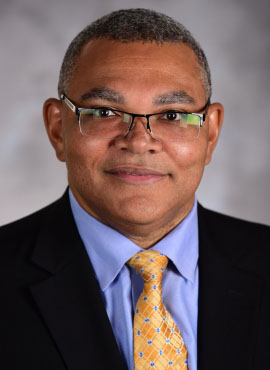 Dr. Clarke was co-chair of the National Academies committee that developed the U.S. National Agenda for Autonomy Research related to civil aviation, and a member of the National Academies committee that reviewed the Next Generation Air Transportation System. He is currently co-chair of the Joint Planning Committee for the AIAA-AAAF Aviation Noise and Emissions Reduction Symposium (ANERS) and a member of the NASA Advisory Council Aeronautics Committee. Over the years, he has chaired or served on advisory and technical committees chartered by the AIAA, EU, FAA, ICAO, NASA, the National Academies, the U.S. Army, and the U.S. Department of Transportation. He received the S.B., S.M., and Sc.D. degrees from the Massachusetts Institute of Technology in 1991, 1992, and 1997, respectively. His many prior honors include the 1999 AIAA/AAAE/ACC Jay Hollingsworth Speas Airport Award, the 2003 FAA Excellence in Aviation Award, the 2006 National Academy of Engineering Gilbreth Lectureship, the 2012 AIAA/SAE William Littlewood Lectureship, and the SAE Environmental Excellence in Transportation Award in 2015. He is a Fellow of the AIAA and is a member of AGIFORS, INFORMS, and Sigma Xi.